Alpine garden has the big aesthetic attraction. The variety of ornamental plants and rocks of different sizes increase the ornamental effect. If you want to make the alpine garden with your own hands, you should start at early autumn. The first important step is marking and mapping. Is your alpine composition going to be big or small in size? Planning the right place for your composition that must be about 10 square meters you have to mark the pathways and all base positions. 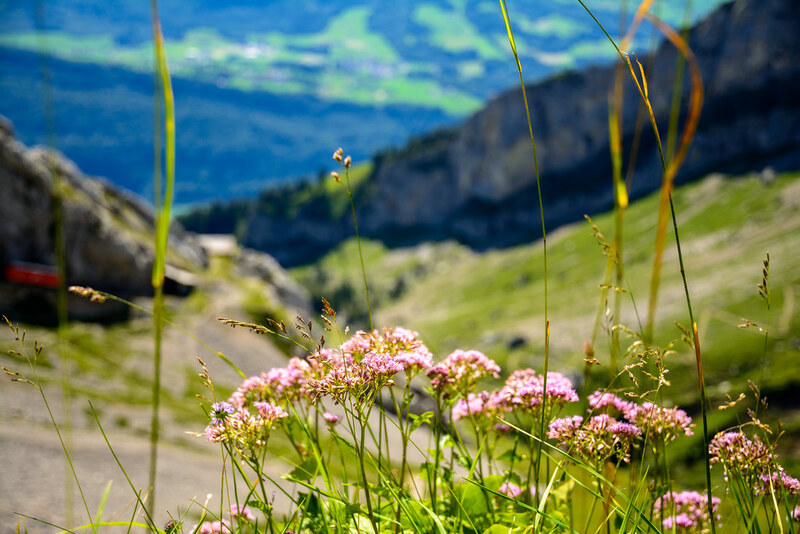 All who wants to make the alpine garden with your own efforts should know that this is not only the senseless mount of rocks, but the model of the natural rocky landscape. If you want to make your garden landscape to be really rocky, you should also mark the valley, plains, falls and peaks. You may also think of different lights. Everyone wants to make their garden landscape interesting and inimitable. Alpine garden is the greatest idea that you may have! The process is creative and individual. So, there are no strict rules, but there are many good ideas to follow. The rocks for your Alpine composition are the important part that MUST BE. The technique of creation the Alpine gardens came from Japan and China. The eastern garden is a unique combination of two nature types: wild and inanimate nature, imitating the natural rocky landscape. Everything is not as simple as you wish. It is not enough to find a good rocky place in your garden and put some greenery among them. Firstly, your garden is not rocky. Secondly, the beauty of your composition much depends on rocks. Pick up the rocks of the same formation but different in size and form. If you want to get more interesting exemplars, you can buy them from the specialized shop. You may also use the wrecked and erosion rocks. They look eye-catching. It is important to consider the acidity of the geological material as far as the high mountain plants are capricious about this factor. Never put the imitation stones into the natural landscape of your Alpine garden. What are you going to plant in your garden? If you like exotic compositions, you should plant more flowers. It is better to use traditional sorts of flowers to make the composition alive. Thus, you may use such bulbous plants as crocuses, muscari, tulips, narcissus, chionodoxas. The groveling plants are also good: thyme, saxifrage and other flowers that look like a pleasant soft carpet on the ground. It would be great if the flowers are different forms, sizes and flowering terms. 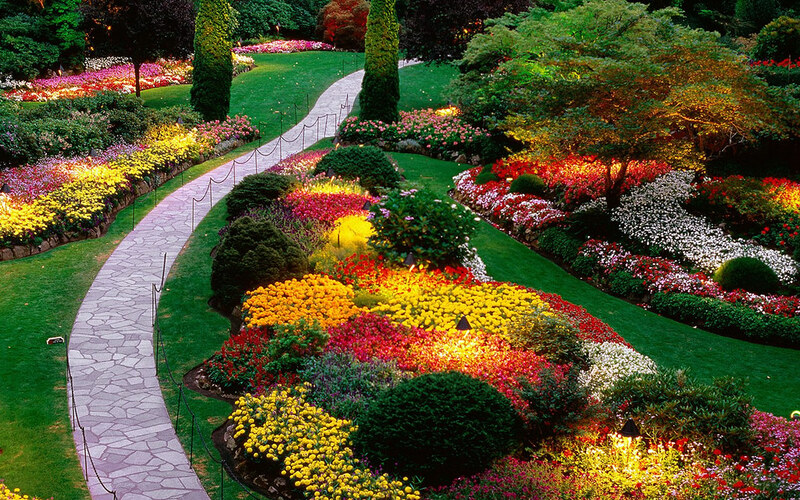 You may draw the colors of your garden beforehand to make sure that all of them are harmonize. Of course, the dwarf trees and needle leaf trees – they grow slowly and stay always green. You may add some bushes that are in bloom in spring. Thus, you may use different sorts of fir-trees, cypress and mountain pine. If you are more than creative gardener, you can make the waterfall in your Alpine garden. It looks great and romantic! 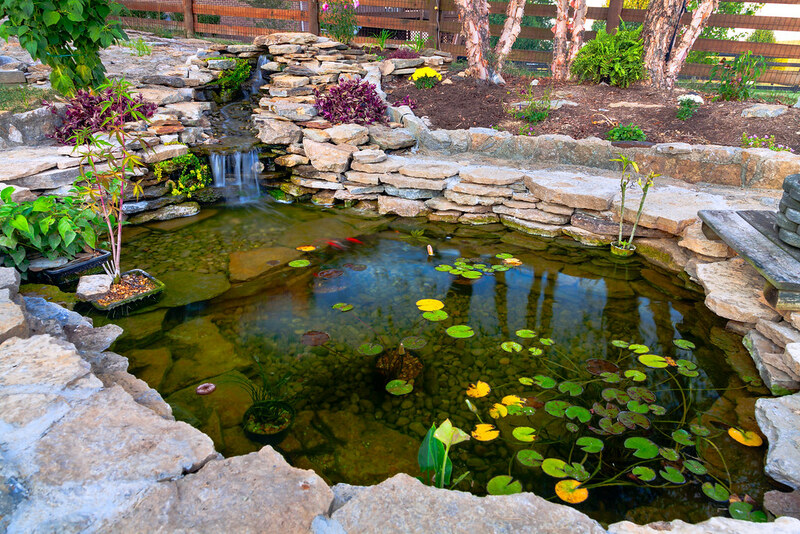 The combination of rocks, flowers and waterfall looks enjoyable, helping to relax and admire the nature around. If you want to make a small rocky composition, you should find the best place for it. As a rule, it is better to use a part of your garden where you already have a lot of hills, ups and downs. The garden looks strange if you place it opposite the fence or brick wall. It is better to use the green fence and stony wall and lianas. It is said that the first rocky garden appeared in Japan about 1000 years ago. The Japanese interest to create the rocky gardens can be explained the deficit of free ground plots. Besides, using rocks as a background is absolutely typical for Japanese culture. They think that you can find beauty in the natural objects. That is why Alpine gardens are widely popular in Japan. Today, Alpine compositions are not only the admirable composition made of mountain flora, but a real piece of art. 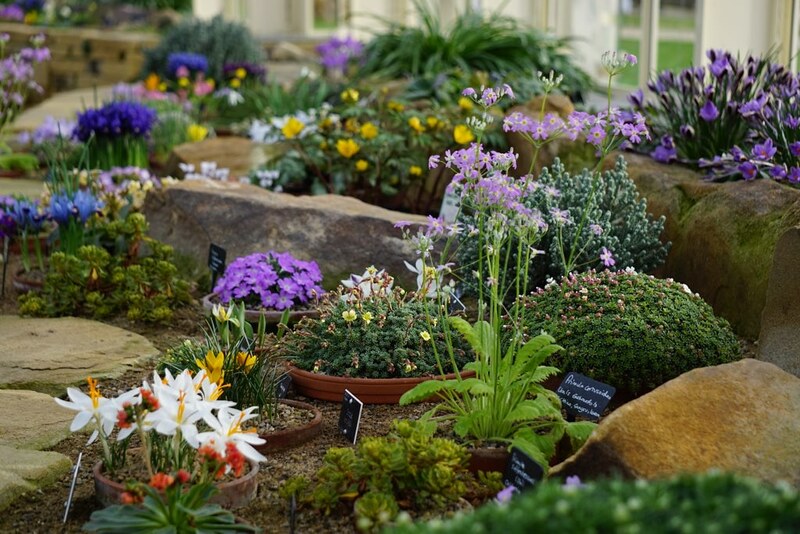 You can see the biggest collections of the Alpine gardens in the Botanic gardens of Switzerland, Great Britain. The history of the Old Botanic Garden in Zurich or Alter Botanischer Garten starts in 1833. The garden was created on the base of the Conrad Gessner’s collection. This is a popular place for rest because of the interesting arboretum, Alpine garden. The main component part of the Old Garden is the popular Gessner’s garden that is placed on the top of the hill. It is full of the old plants that were planted by Gessner. There are more than 50 medicinal herbs and bushes that were popular in the 16th century. The general amount of the garden plants is more than a million. The plants are combined in different ecosystems, including the wild tropic forests and magnificent Alpine meadows. There is an interesting ethnologic museum on the garden territory. The new garden was opened in 1977 at the Villa Schönau. The various design and masterful organization makes the territory naturally comfortable for plants and visitors. There are many hothouses to grow grass, bushes, flowers and trees. This is a big green laboratory to learn, search, explore and invent in the field of biology. More than 130 000 of visitors come here every year. This is a good place for excursions, picturesque parks, alleys and glassy ponds. You may come to the garden any day from 7 a.m. till 7 p.m. from April to September and from 8 a.m. till 6 p.m. in October – March. You can hire a car in Zurich and go to the Botanic Garden easily. Otherwise, you need to catch a city bus or tram to go to the Botanisher Garten station. There is no better place to walk and enjoy the beauty of nature. What about the Alpine garden? You may see the eye-catching rocky composition at every step.